"What makes you so different than the bounties you drag in here?" 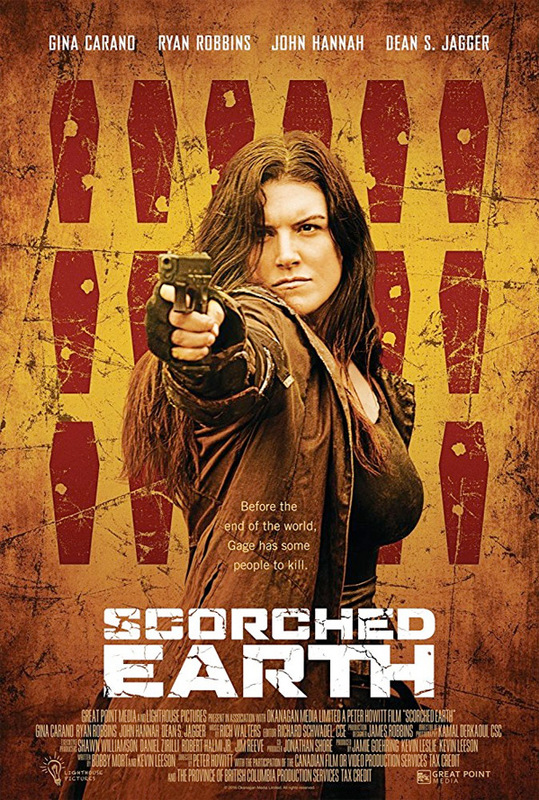 An official trailer has debuted online for a post-apocalyptic sci-fi action movie titled Scorched Earth, from actor-turned-director Peter Howitt. Set in a future where Earth has been ravaged (scorched?) and destroyed, the story follows a bounty hunter, played by Gina Carano, who gets into some major trouble when she tries to bring down a ruthless outlaw. This seems like such an odd, unoriginal mashup of bounty hunters, post-apocalyptic tropes, and maybe a bit of sci-fi, but not really. The full cast includes John Hannah, Stephanie Bennett, Alisha Newton, Ryan Robbins, Nathan Mitchell, and Patrick Gilmore. I hate to be so blunt, but this looks like a really terrible made-for-TV SyFy film. I'm really not that interested in seeing this, but check it out below anyway. Earth has suffered an environmental collapse; the air became dangerous to breathe, the water became toxic, and billions of people died. Generations later, mankind has finally re-established a rudimentary society, in an attempt to pick up the pieces that continue to blister in the sun. Attica Gage (Gina Carano) is a bounty hunter with a chance at the bounty of a lifetime: to bring down the ruthless outlaw - Elijah Jackson. Gage infiltrates Jacksons gang, and everything is going to plan until she meets a slave girl who reminds her of her dead sister. With her loyalty to only herself now tested, Gage learns there might be more to life than survival. Scorched Earth is directed by English actor-turned-filmmaker Peter Howitt, director of The Good Samaritan, Dangerous Parking, Laws of Attraction, Johnny English, Antitrust, and Sliding Doors previously. The screenplay is written by Kevin Leeson and Bobby Mort. 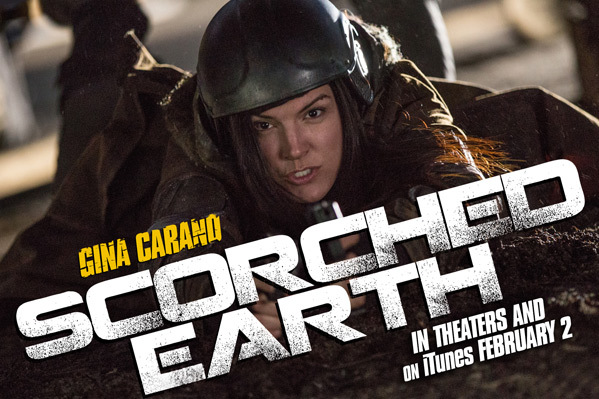 Cinedigm will release Howitt's Scorched Earth in select theaters + on VOD starting February 2nd coming up. First impression?